The Advisory Board elects two of its members to the Board of Directors. The remaining seats are recruited based on subject matter expertise and/or other knowledge and resources they bring to the work. KUA is led by a 6-member Board of Directors. All members serve as volunteers. The E Alu Pū Council is selected annually by the communities of E Alu Pū, with two representatives from each island in the network. In addition to their network service and leadership, the Council participates in Board meetings to share their expertise. Hannah Kihalani Springer is kamaʻāina of Kaʻūpūlehu, North Kona. She and her husband Michael live on ʻāina aloha of Kukuiʻohiwai, homesteading with their son and his family. Hannah is a life-long student of the cultural and natural histories of Hawaiʻi. She has served in volunteer, appointed, and elected capacities at the Island and State levels. Hannah is active with the Kaʻūpūlehu Marine Life Advisory Committee, which successfully advocated for a ten year, all species rest period, from shore out to a depth of 120 feet at Kaʻūpūlehu and Kūkiʻo. The effort, is affectionately called, “Try Wait”. Solomon Pili Kahoʻohalahala is a seventh generation native Hawaiian descendant, kupaʻāina, from the small island of Lānaʻi. 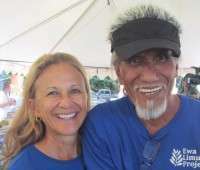 He currently serves as the Papahānaumokuākea Native Hawaiian Elder on the Reserve Advisory Council and is the Chair of the Hawaiian Islands Humpback Whale National Marine Sanctuary. Ernie Cruz Jr. was born in Honolulu and raised in Pālolo Valley, ahupuaʻa of Waikīkī. Ernie currently works at McCabe, Hamilton and Renny as a stevedore and is a highly accomplished and respected Hawaiian musician. Ernie was a member of the popular and highly influential Kaʻau Crater Boys, later released the acclaimed solo-album "Portraits," and has since generously shared the microphone and stage with local and national acts, playing comfortably in venues from local backyards to the Waikīkī Shell. Kapalai'ula de Silva (Treasurer) was born and raised in Kaʻōhao, Oʻahu, the daughter of composer/historian/educator Kihei de Silva and Kumu Hula Mapuana de Silva. She is a lifelong member and a recent Kumu Hula graduate of her family's Hālau Mohala ʻIlima. She holds a Bachelor's degree in both Hawaiian Language and Music as well as a Graduate Certificate in Professional Accounting, all from the University of Hawaiʻi at Mānoa. Aunty Makaʻala Kaʻaumoana currently serves as the Vice-President of the KUA Board. Born in Kāneʻohe, she is a long-time advocate for causes to protect the ʻāina. She is the Executive Director of the Hanalei Watershed Hui, a Kauaʻi non-profit environmental organization that strives to care for the ahupua’a of Hanalei, Waioli, Waipa, and Waikoko guided by Hawaiian and other principles of sustainability and stewardship, integrity and balance, cooperation and aloha, cultural equity and mutual respect. 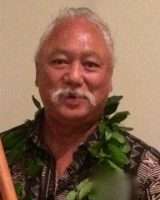 Hiʻilei Kawelo currently serves as President of the KUA Board. Hiʻilei is Executive Director of Paepae o Heʻeia, a small non-profit that cares for an 88-acre traditional Hawaiian fishpond in Kāneʻohe, on the island of Oʻahu. 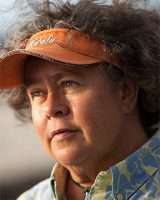 Her practice is that of a wahine lawaiʻa (fisherwoman), specific to the Kāneʻohe Bay area. Anne Swayne-Keir is the President of the Keith and Judy Swayne Family Foundation. She is a certified family foundation consultant and serves on the national Association of Small Foundations Next Generation Committee and Impact Working Group. Anne recently developed a local chapter of EPIP (Emerging Practitioners in Philanthropy.) Anne serves on the Hawaiʻi Art Alliance, and is active in many other aspects of the non-profit and philanthropy communities in Hawaiʻi and beyond.